This week on How on Earth, Beth interviews Dr Valter Longo, director of the USC Longevity Institute. Dr Longo has researched the fundamental mechanisms of aging in yeast, mice and humans using genetics and biochemistry techniques. He is also interested in identifying the molecular pathways conserved from simple organisms to humans that can be modulated to protect against multiple stresses and treat or prevent cancer, Alzheimer’s Disease and other diseases of aging. 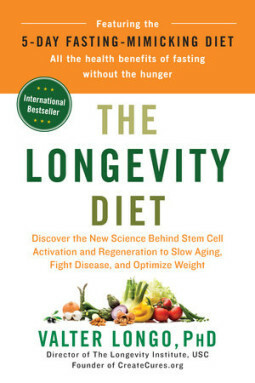 In his new book, The Longevity Diet, he describes his research and how to apply it in your life, for health and longevity.